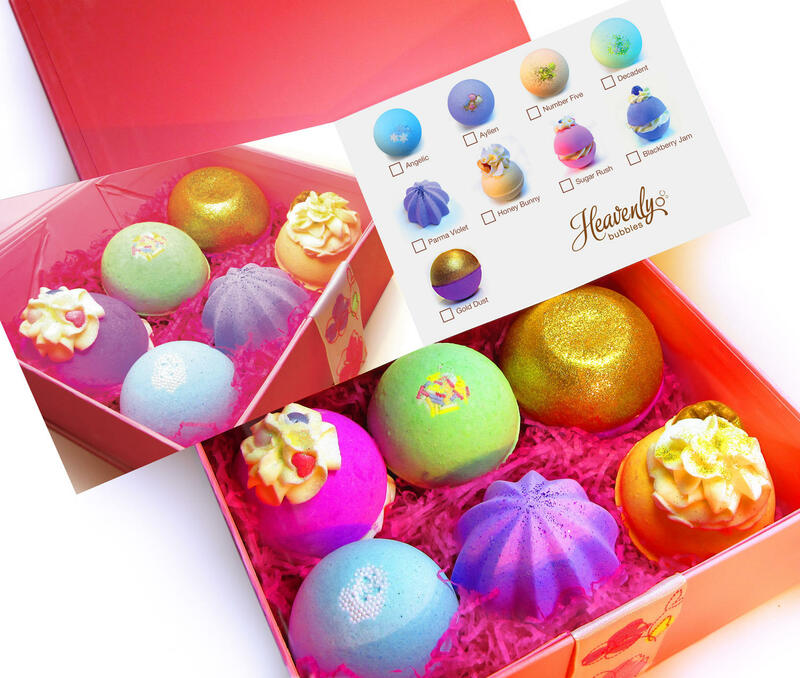 Our Bath Bomb Gift Set is perfect for bath bomb lovers! Choose six bath bombs from our selection, all beautifully displayed in our pretty magnetic gift box decorated with ribbon. 'Pick n Mix' your favourite designer similar scents with the fun foody or fruity bombs. A well deserved treat for yourself or pick fragrances you know a loved one will enjoy! You can also add an extra special touch with a personal message to go on the gift card within the box itself!